Heidelberg Village in Germany will be the largest residential Passive Design project in the world. Touted as “the world’s largest passive housing” project, a 162 unit residential complex is currently under construction in Heidelberg, Germany. The solar-powered Heidelberg Village designed by the Frey Architekten firm will feature a wide range of sustainable features, as well as rooftop and vertical gardens. The complex is expected to use 75% less energy than a similar project using conventional building design. The Passive design concept originated in Germany in the 1990’s, and has now been embraced worldwide as an effective and economic way to cut carbon emissions and reduce energy demand in buildings while still providing high-caliber living comfort, superior indoor air quality and structural resilience. While the movement began with a residential focus, passive “house” building principles have been adopted in major commercial building projects as well, setting new standards for heating and cooling efficiency, total energy consumption and air leakage. The Herman Teirlinch building is the largest Passive Design commercial project in Belgium. One of the most ambitious “passive design” commercial projects currently underway is in Belgium where Europe’s largest passive office complex is under construction. 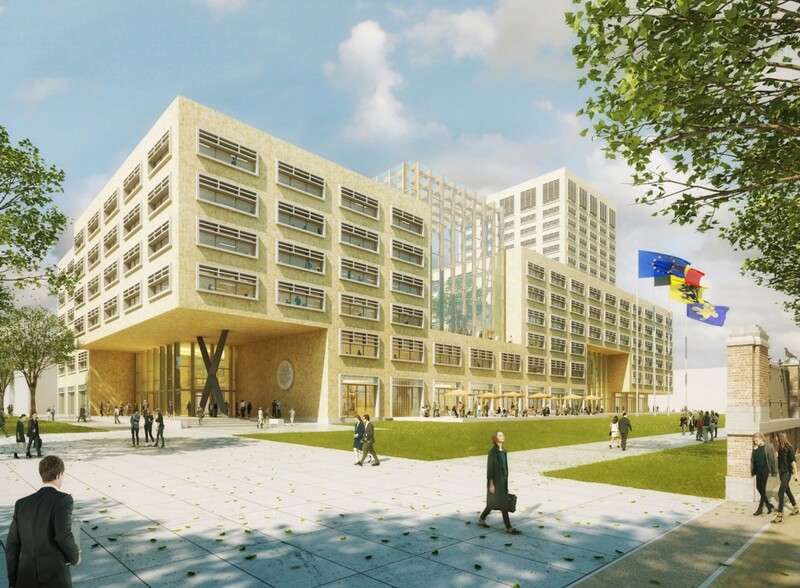 The Herman Teirlinch government office will be a 66,500 square meter mixed use, low-rise, sustainable building designed by Neutelings Riedijk. While entire passive home neighborhoods have yet to be created in the United States, passive design residential and commercial buildings are cropping up nationwide. The key components are 1) high-quality insulation and thermal-bridge-free construction 2) airtight construction 3) energy efficient windows and doors 4) mechanical ventilation for air quality. Sto Corp has been a leader in providing passive design projects with energy efficient exterior insulation and finish systems. StoTherm ® ci continuous insulation, air moisture barriers, and advanced wall cavity systems have been used to meet and even exceed passive design energy efficiency standards in various climate zones across the country. 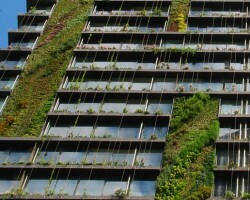 Can Green Buildings Make Us Smarter? Green is good -- outside or inside an occupied building. A recent study published by Environmental Health Perspectives (EHP) suggests that Green Buildings create optimized conditions for health and productivity. In a series of experiments, indoor environmental quality (IEQ) factors for both “green” and “conventional” buildings were simulated in a controlled environment that included office workers, and the researchers measured variables such as carbon dioxide variation, ventilation and exposure to volatile organic compounds in the building atmosphere. The results? On average, cognitive scores for the two groups of workers were 61% higher for those working in a building with green features than with conventional construction. 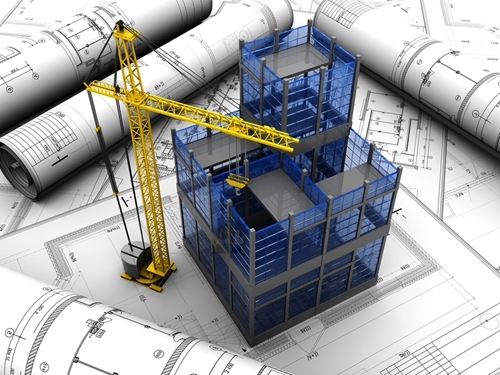 In other words, green building can potentially deliver a smarter workforce. This renovated federal office building in Portland Oregon earned an A+ for sustainability from the AIA. The AIA’s Committee on the Environment (COTE) works to promote design practices that enhance both the design quality and environmental performance of the built environment. As the Institute’s champion of sustainable design, COPE identifies the most outstanding “green” projects around the U.S. and awards its annual Top Ten Winners. This year’s overall winner is the Edith Green-Wendell Wyatt (EGWW) Federal Building, an 18-story, 512,474 sf office tower in downtown Portland, Oregon. Originally built in 1974, the building received funding from the American Recovery and Reinvestment Act to undergo a major renovation to replace outdated equipment and systems. Already, EGWW has exceeded its projected energy and water saving goals.The building’s gas and electrical utility bills racked up a 45% energy savings in the first two years of use, compared to a building built to code. Green building refers to both a structure and the processes employed in building it that are environmentally respon-sible and resource-efficient. Any company looking to save money and have a positive impact on the health of its inhabitants should pursue the route of green building. Sto is proud to support sustainable building methods and believes that by putting people first, we can improve the sustainability of the built environment and the world at large will take notice. There are enough new building technologies that the next generation of structures should be able to last a very long time. Even with all the advanced building solutions available today, some builders are tempted to cut corners by using only the basic necessities as called for in federal codes and regulations. This corner-cutting strategy may save on upfront costs, but it will not guarantee the structure can perform at a high level over a prolonged period of time. Without the application of the absolute best in terms of materials and techniques, new buildings may age faster than they should. There are enough great building technologies available for every new structure to be sustainable, durable and desirable for years to come. Here some that should be at the top of every architect’s list when they start planning a new building.